When I found out that I was pregnant with my first baby, I knew that staying active would be a top priority to stay healthy and sane. I have always been a runner and was inspired by all the women who were able to continue running late into their pregnancies. I found out very early on that I wasn’t one of those lucky women. 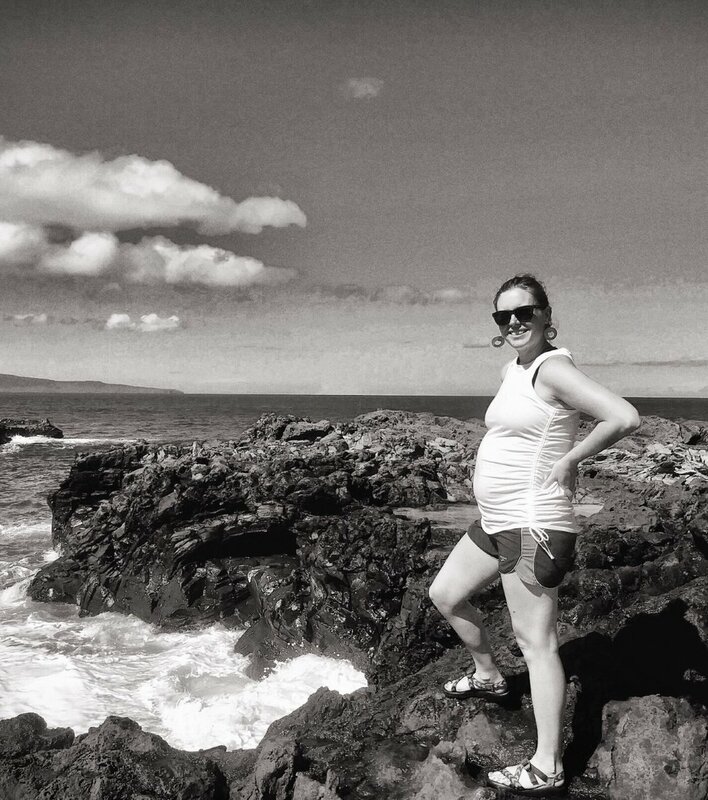 In my first trimester, I would finish my “runs” feeling drained, frustrated, and sorer than ever before. While maintaining exercise is essential to me, listening to my body became more important while growing a tiny human. I decided to say goodbye to high impact activities. I had taken classes at Fierce on and off for a couple of years and decided to lean in and give it a real go. I wanted to maintain my strength and get a real workout while doing something that was low impact and felt kinder to my body. I had a one on one consultation with Charlene who taught me all the modifications I’d need as my belly grew, as well as a breathing technique to keep myself and my baby healthy during class and prevent diastasis recti. Right now I am 35 weeks along, and I’ve been incredibly lucky to have a healthy and positive pregnancy thus far. I wouldn’t have been able to keep up this level of fitness anywhere else. I have had to continue to modify over time, and admittedly, sometimes I question whether or not I even did anything in class that day. Some days feel impossible, and others feel strong. The coaches have been incredibly supportive, and the community of strong women (and dudes, too!) has kept me motivated. I’ve learned to be easy on myself — as long as I show up, I consider it a win. As pregnant women, we have so much information being thrown at us constantly — eat this not that; exercise, but not too much and not certain activities; gain enough weight but not too much; worry about this but for goodness sake don’t get too stressed because stress is terrible for baby! Just like other times in my life, finding balance has been the most valuable challenge. Showing up to class and sweating for 45 minutes has allowed me to let go, trust my body and know that I’m doing something positive for myself and my son. It has taught me to take things one day at a time, one block at a time, even just 15 seconds at a time. I can’t speak yet to how valuable it will be for labor, delivery and postpartum recovery, but I can say that I have even more respect now for what my body is capable of. I think that knowledge alone is enough to ease my mind and trust in what’s to come. My journey with Fierce45 began in the spring of 2017. I instantly knew something was different about this workout. It challenges you not only physically but mentally as well. I saw a visible change in my body within the first three classes. I wanted to stick to it. I set goals, and I was determined. A year later I became pregnant with my second child. I was in the best shape I had been in for a very long time. Not only was I lean but I was strong, it felt amazing! So I wanted to continue throughout pregnancy. I had noticed pregnant women in my classes in the past. So I knew it was possible! I continued with Fierce45 throughout my pregnancy, and I stayed mobile and fit. I had a fantastic delivery it was quick, and I felt strong! After birth, the nurses routinely press/massage the belly to reduce bleeding. My nurse called in the doctor concerned with how hard my stomach felt. The doctor quickly came in and checked and said “Wow, she has a strong abdomen! This is her muscle ” I laughed and told them I did Fierce45 throughout my pregnancy. She confirmed, “oh yes, then that’s exactly what it is!” I recently just did my first class back eight weeks after having my baby. I was ready to be weak, and out of shape, but to my surprise, it felt amazing. It was like my body has been craving for that movement back!